Greetings, friends. It’s been some time since I’ve posted, what with the ups and downs of the Pirates season pulling us in so many directions – or one direction unfortunately! As we all know, this was the year that saw a monumental collapse by our Buccos – they became the only team in history to go from 16 games ABOVE .500 to their 20th non-winning season in a row. I wanted to get to the bottom of all this. How could this happen two times in a row? The Pirates’ owner, Bob Nutting, angrily assured us changes were coming and hinted strongly that no one’s job was safe. But then a week or so later, the Pirates’ president Frank Coonelly came out with his own statement. He was grim and determined to get to the bottom of the team’s troubles. Well, color me impressed! Frank’s strong words and gritty determination made it clear that the team’s brass was going to address the team’s issues. No stone would be left unturned in their investigation! I had a chance to talk with Frank C (or “Grim_FrankC on Twitter) to talk about the situation. In the last assessment at the quarter season mark, I noted that things seemed pretty steady state with the Bucs. They were still two games under .500, holding their own through solid pitching and McCutchen, but besides a few signs of life from the offense, not much else to report. The Pirates are now in first place. They are five games over .500. They are executing a more balanced offensive attack, though still heavily reliant on McCutchen - dangerously so. It remains a mystery to me why opposing teams aren't simply pitching around him but for whatever reason, they aren't. 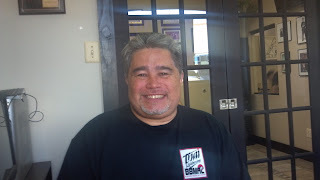 Master Lee, Black Belt Martial Arts Center! As readers know, I like to connect with interesting people and explore their story. Usually the people I talk to have a Pittsburgh connection. However, this interview is with an individual closer to where I live now, in Kensington Maryland. I had a chance to spend some time with Master Robert Lee, the Chief instructor and owner of Kensington’s Black Belt Martial Arts Center (BBMAC). I could just TELL you that this is an inspiring individual, with great life lessons about setting goals and doing what it takes to achieve them; knowing what’s important in life; and the value of a positive outlook. But Master Lee's story speaks for itself. Here’s our conversation. Monte: Thank you for spending time with me today! The first thing I’d like to ask about is how you got started in Martial Arts. What made you decide that it was something you wanted to do? This post isn’t a backdoor “let’s bash Neal Huntington” entry. The Pirates are three games out, the hitting is showing some life, and we’re in “wait and see” mode to see what Huntington does to keep the Pirates in contention, and maybe even put them over the top. This post is about Syd Thrift, the Pirates’ general manager from 1985-1988, who in three years turned a pathetic franchise into a contender that would go on to win three division titles in a row. Thrift was a great baseball character, a long-time baseball man, and a man who knew – and spoke – his mind. There aren’t many like him. It’s inevitable, though, that in looking at Syd’s accomplishments in three years, one can’t help but wonder if there are lessons for the current GM, particularly at this promising time. 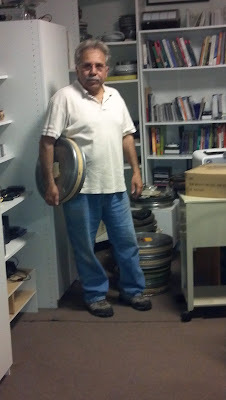 Legendary Filmmaker Tony Buba, Part Two! That retrospective will be a great opportunity to meet Tony and to enjoy his many features and selected shorts. But in the immortal words of Marty DiBirgi, “that’s enough of my yakkin!” Let’s get right to part two of my conversation with Tony Buba. Well, not much to cover here because I summed up my views at the quarter mark in my last piece, focusing on the need for a new GM. I gave Neal Huntington credit for pitching, but noted that the inexplicable lack of effort seriously to address the offensive side of the equation, combined with his abysmal record in that regard over almost five years now, means it's time for a more proven leader. I guess I can see the argument, though, for letting things play out a little longer. The team is exactly where it was when I wrote the first of these eight assessments - two games under .500. But no one should be satisfied with that. With the pitching we have, it IS fair to ask, why aren't we taking the bull by the horns and asserting ourselves in the Central dvision? The goal of the game isn't mediocrity; it's winning, right? And with the pitching we have, why aren't we? By nature I am not a negative guy. I wish no ill on anyone. 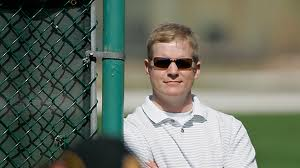 While often extremely frustrated, and always upset that the Pirates perennially fail to invest meaningfully in their major league product, I nevertheless tried my hardest to stay with the program as articulated, designed, and implemented by Pirates GM Neal Huntington. Didn’t accept that it was the only way to resuscitate the franchise; but I tried to believe. But Huntington has been the GM for four and a half years now. The Pirates have not progressed. The Neal Huntington era has gone on too long, and it’s time to move on. He probably wasn’t the right guy in the first place. But let’s deal with the here and now. It’s time to let Neal Huntington seek greener pastures. Legendary Filmmaker Tony Buba, Part One! Winter 1989. I am in Baltimore, where my fiancé – now wife of 22 years, thank you! – was living at the time. 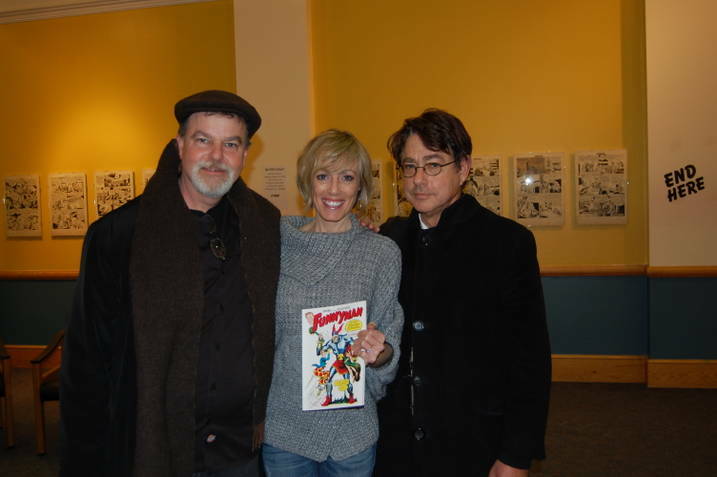 Braddock, PA filmmaker Tony Buba was appearing at the Baltimore Museum of Art, at a screening of his 1988 classic documentary, Lightning Over Braddock. There was a full house, and in the Q and A after the screening, Tony fielded a number of questions from the attendees. My question didn’t quite reflect the depth of knowledge regarding film, or urban decay, as some of my fellow attendees. I simply asked which pizza Tony liked more, Mineo’s or Vincent’s. 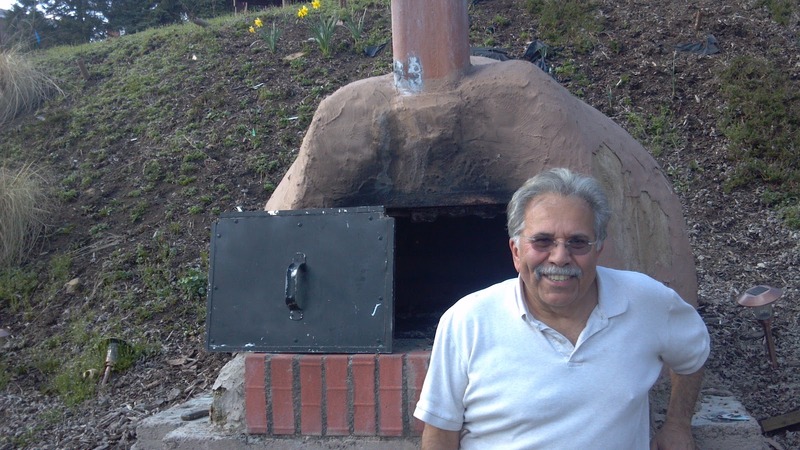 With a hearty laugh, Tony got it right – Mineo’s. November, 2011. I am at the Braddock Library for a memorial service for David Demarest, the father of Jamie Demarest, one of my closest friends since High School. I knew David Demarest loved Pittsburgh and its urban landscapes, and loved to spend time in neighborhoods like Braddock. He was extremely active not only in helping to rejuvenate towns such as Braddock, but in fighting for any number of important social causes. He is the man who revived “Out of This Furnace,” a book by Thomas Bell that captured immigrant life in a Western Pennsylvania steel town, and he was instrumental in preventing the shut-down of the Braddock library. The man filming the memorial service was Tony Buba. Fact is, Pirates are two games under .500. At the end of the day, that’s the stat that counts in the record books, and it seems to me that if the Bucs find themselves two games under .500 in July or August, most fans will be pretty ecstatic with a wild card perhaps a possibility. Where Should Pedro Start the Season? This post addresses a simple question: Should Pedro Alvarez start the season on the major league club, or in AAA? More to the point, is there even ONE argument in favor of him going north with the club and starting in Pittsburgh? Spring Training: Surprises On The Horizon? Well, here we are a week into spring training games, and I think it's time to ask two age-old questions: Can some would-be rookies earn a spot on the team? And even more interesting: is it possible for an incumbent STARTER to be unseated? In an age of options, waivers, major league service requirements, and the like, it’s not clear that a hot youngster will make the major league roster. There is also the question of whether such a player would be better served by getting more playing time in the minors. Case in point: Matt Hague. He has, as most of us know, torn it up every year in the minors. He is having a great camp and has seen action at AAA. There may still be things for him to learn at the AAA level, but if he continues to tear up the camp the rest of the spring, the Bucs brass will have a decision on its hands. Over and over your hear it, or read it: it’s all about Pedro. If Pedro turns it around, the Buccos have a chance. Without him, well, just forget about the season right now. I would love to see Pedro succeed. He has only one full year under his belt, he has shown signs, his potential is obvious, and he wants to be a well-paid young man for a very long time. So the incentive is there, the talent is there, and he may end up justifying his enormous signing bonus. We’d all love to see it and it would make a huge difference for the Pirates this year, and well into the future. However, I do not agree with the oft-expressed view that “for the Pirates to succeed, Pedro must succeed.” I don’t think it’s true, and I don’t think the Pirates’ management thinks so either. In fact, I think they are planning around the possibility that he is NOT a significant part of their present - or their future. Tribute to the Great Matty Alou! Hello, friends! 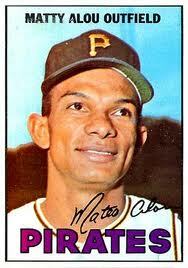 I want to take a moment to pay a tribute to my all time favorite Pittsburgh Pirate, one Matty Alou. Matty died last November but at the time I was taking a hiatus from blogging. The Pirates' front office's failure to make any significant moves at the trading deadline really got to me. Opportunities are so fleeting...but anyway, I've revamped the blog and now I'm writing the post I've wanted to write for quite a few months now, which is to pay tribute to the late, great, Matty Alou. Honky Tonk Women - Evolution of a Song! 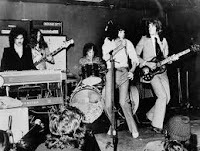 The Rolling Stones unleashed the single “Honky Tonk Women” in 1969. In many ways, it was somewhat anamolous; it has a unique sound among the Stones classics; at the same time, it’s instantly recognizable as the Rolling Stones. 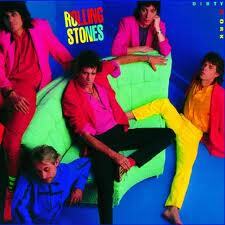 Classic Keith riff, Jagger’s party-time vocal, Charlie’s propulsive rhythm. Add a touch of Mick Taylor’s new guitar and Bill’s steady bass, and there you go. Da Stones. However, perhaps because the song is so unique it has, more than most of their classics, lent itself to some interpretation over the years by the band. Some changes in the live performance are subtle, some less so. As such, I thought it would be interesting to really study the evolution of the song over time and relate it, where it made sense to do so, to where the band was at any given time in their career. Let’s start with the 1969 single as a baseline, and explore the band’s interpretation over the years on that basis. 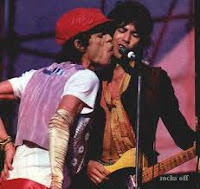 New Stones Tour? SURE! Here's How To Do It! Now see how well they get along? Anyway, they have six demands for a 2012 tour – considered highly likely, as 2012 is the band’s 50th anniversary. I agree, it is likely – not just for sentimentality, but because all the licensing and merch deals are reportedly in place. If anyone knows anything about the Stones, they know that that’s a pre-requisite for these guys! The RSLF’s demands are ones that I, as a long-term, diehard fan, endorse, and I applaud the dudes for making the case. With the exception of rolling back the ticket prices, however, I think most folks would be disappointed if they didn’t hear a bunch of the warhorses, and I think that limiting the shows to very small venues would just drive ticket prices up for those shows on the secondary market, and cut out a lot of people. But the RSLF is on track, and they insprired me to think about MY vision for 2012. So what would I like to see? Well, here’s my ten point plan!